Sleek classic design and custom - like fit. 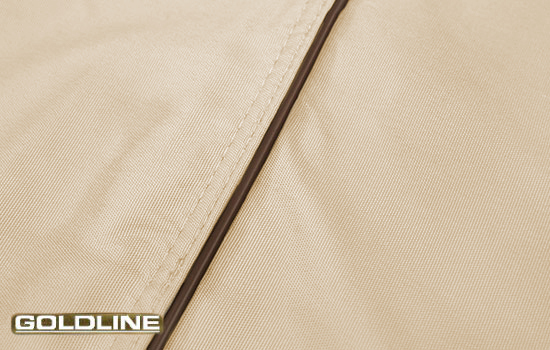 Elasticized hems on the corners provide a snug fit for easy installation. 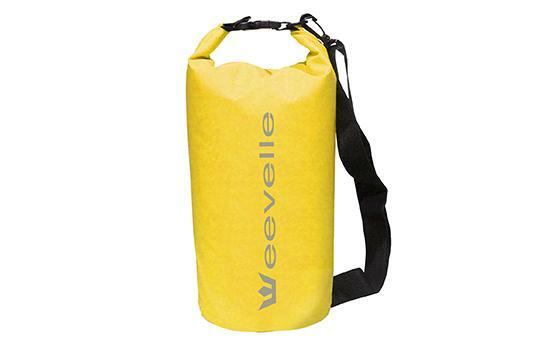 Elegant piping detail as a touch of style and extra durability. 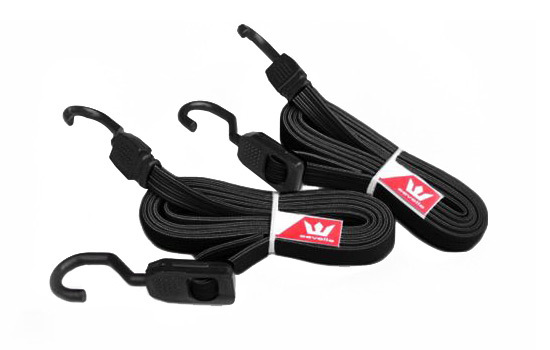 Heavy duty quick detach buckles make installation and removal easier. 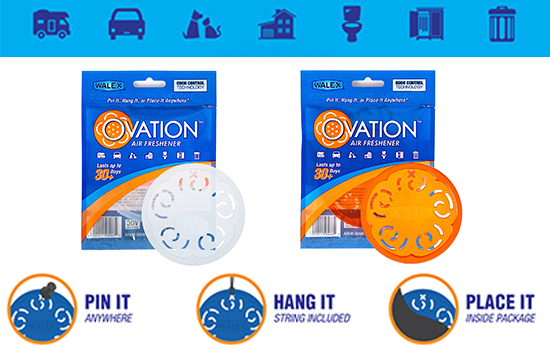 Handy throw pouch simplifies the installation process. Clip onto strap and throw underneath RV. 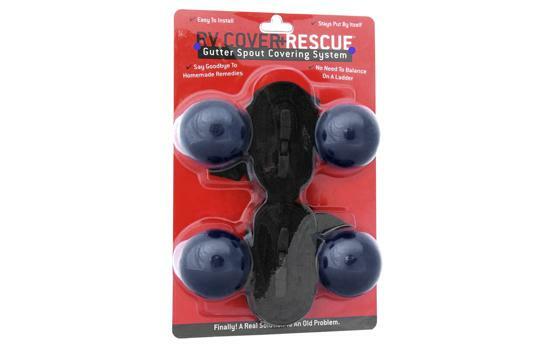 Reinforcement / patch kit can provide extra protection in heavy wear areas. 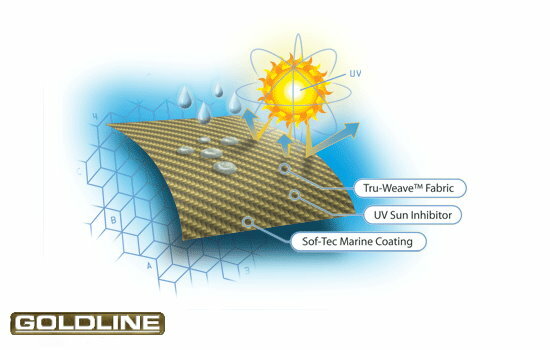 Exclusive "Marinex" marine grade waterproof fabric. 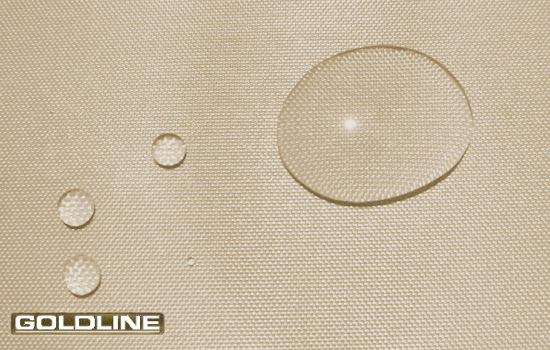 Goldline fabrics are designed to perform beautifully for years to come. 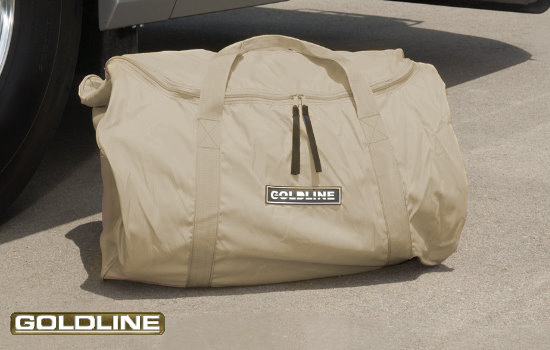 Executive duffle bag is provided for easy carrying and storage. Free fast shipping direct to your door. 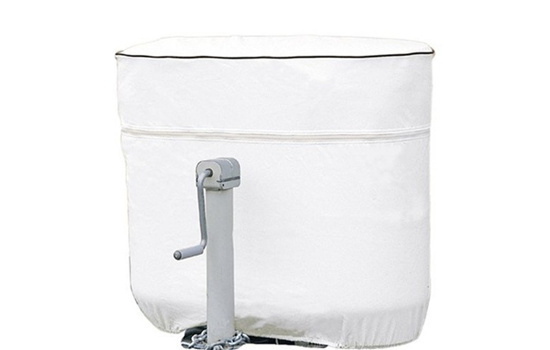 Included FREE with purchase, commercial strength RV Deodorizer to keep RV smelling fresh. 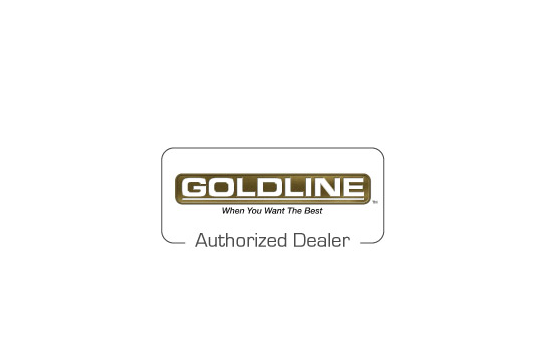 Authorized Dealer of Goldline products. 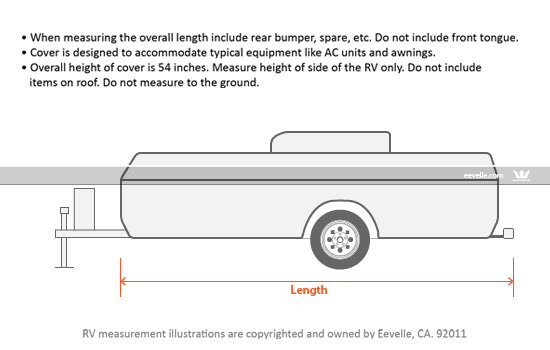 The 6 pack of RV straps are durable and weather resistant – perfect for securing your RV cover! 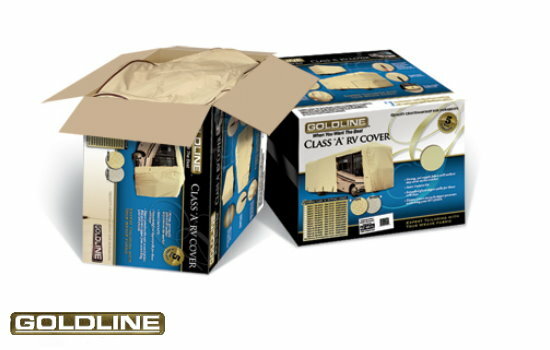 Goldline RV covers are designed to satisfy even the most discriminating customers by outperforming every other cover in all critical categories of RV protection. 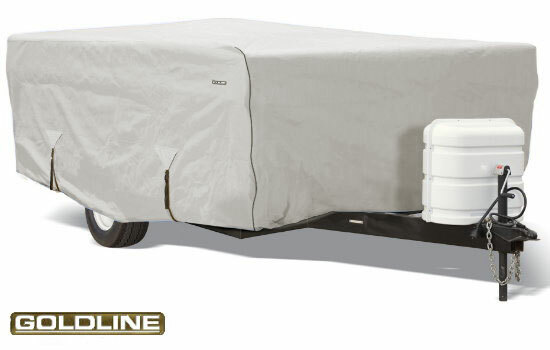 Precision design and expert tailoring with the finest materials make this a high end RV cover that is as durable as it is beautiful. 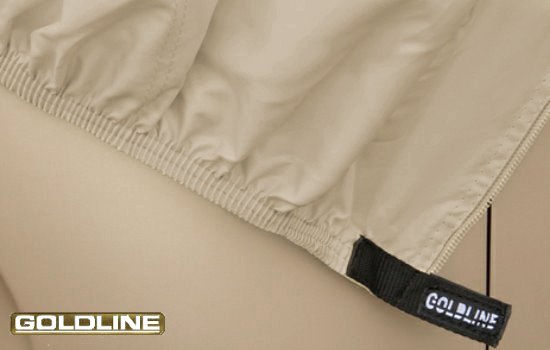 Our Marinex marine grade fabric is a heavy duty 7 oz. 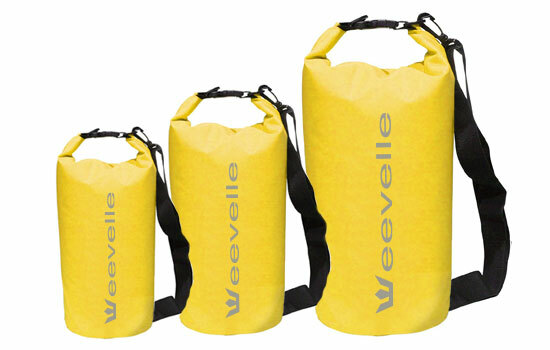 true loom-woven Polyester constructed of 600 x 300 denier filament polyester yarns and 99 thread count. 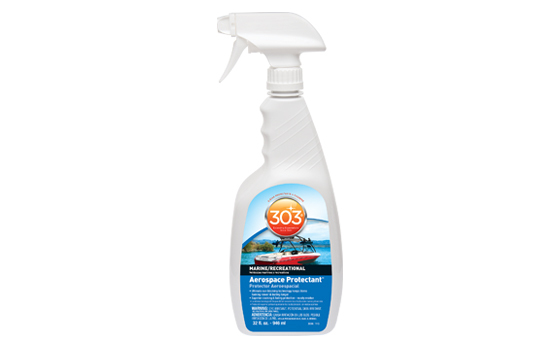 It is coated with Durapel UV inhibitor and Anti-Microbial finish to make it UV and mildew resistant. The result is an incredibly strong yet breathable product that will provide protection for your RV for many years to come. 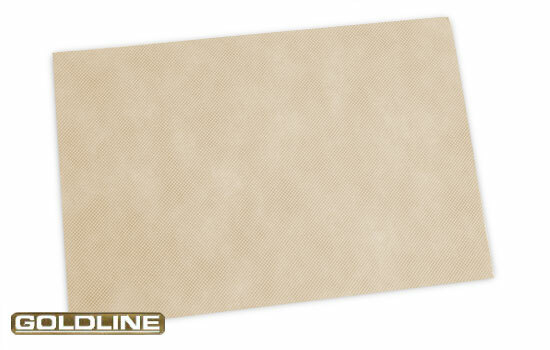 We tried the Goldline cover on several different RVs and found the material feels nice and strong like the manufacturer claims. The fit is very good and it's easy to get the cover tight using the strap system on the front. 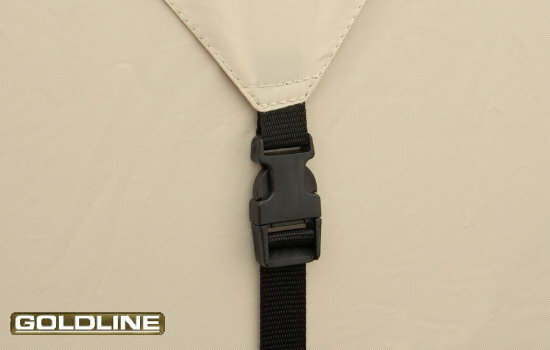 It's also nice that there are zippers around it that allow you to get in the RV without having to take the cover off. 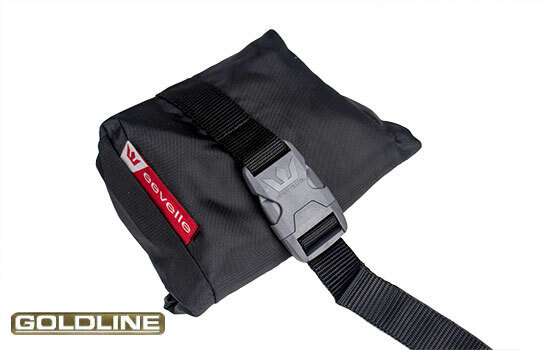 We used to carry other covers that are not as strong, but the Goldline really is a great cover for the price! Goldline covers accomodate typical RV features and accessories including A/C units, awnings, mirrors and ladders. Very easy and fast. Cover is beautiful. Nice fabric. Great pricing. Fast shipping. Perfect fit. 10 out of 10. Simple and straight forward installation. Looks good on my Class A. Even the neighbors comment on it.